There is a lot to this pickup as well as a lot that is new to it in general, which is a good thing to see for RAM enthusiasts. It's hitting our lots in 2018, way ahead of the 2019 year-- good news for you! The "RAM" grilles and the Ram horns logo are new in 2019, plus, this truck gets rid of 225-lbs from its former design (yet also makes it tougher and more tow-capable than before too). The 2019 Ram 1500 is the sole full-size pickup with an eTorque boost (mild-hybrid) motor feature, a quad-corner air suspension system that skillfully levels loads by self-assessing weight. There is a 4x4 Off-road Package that throws on a single-inch suspension lift on most trims, tow hooks, and skid plates underneath. The Quad Cab is now obtainable for the Rebel model, plus, it has fresh 18-inch wheels with 33-inch Goodyear Wrangler DuraTrac tires. The Rebel model now has a standard coil spring (air-suspension possible to pick instead) as well as tuned Bilstein shocks. What powers the 2019 RAM 1500? The new RAM 1500 naturally sustains its Pentastar 3.6L V6 in 2019 with 305 horsepower and 269 lb-ft of torque. This V6 collaborates with a new eTorque mild-hybrid transmission with a 48-volt motor to help and charge the fuel-saving start/stop function. The battery pack for that e-transmission rests cleverly on the back wall of the inside cabin. There is also a 5.7L Hemi V-8 with a whopping 395 horsepower and 410 lb-ft of torque using a regular transmission. Use the eTorque transmission with that engine to attain 130 lb-ft more in terms of torque! The standard transmission found is the wholly electronic TorqueFlite 8-speed automatic for either engine, but the non-electric one is available if preferred. The HEMI V-8 version also uses an electric 850-watt cooling fan with Pulse Width Modulation to achieve greater strength through cooler dynamics. Ram also places inside as standard a new electronic locking rear differential (Rebel model) but owners can add it via the 4x4 Off-road Package to any model. The enhanced transfer cases are activated with a push-button control center-mounted below the rotary gear selector on the instrument panel. The 2019 RAM 1500 could tow 12,700-lbs or haul up to 2,300-lbs when it is sufficiently equipped to do so. Can you outline the overall design? Models are the Tradesman, Bighorn, Rebel, Laramie, Laramie Longhorn, and Limited. Consider this truck in 2019, because it has new length options to further accommodate its users: a 153.5" wheelbase on Crew Cab long beds, a 144.5" wheelbase on Crew Cab short beds, and Quad Cab versions acquire a long bed with a wheelbase of 140.5". 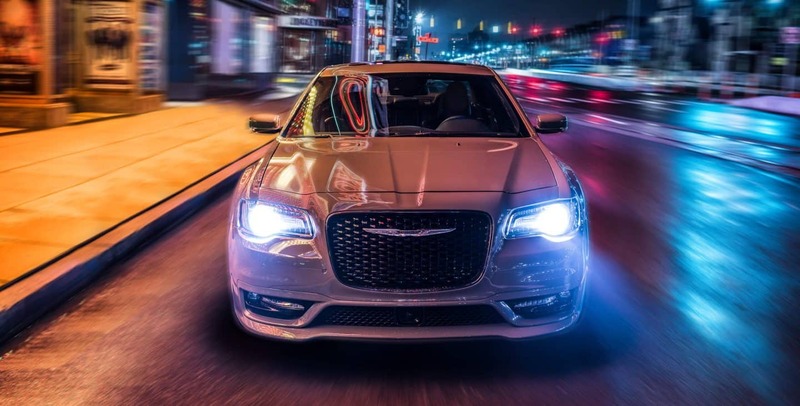 Getting gains in fuel efficiency is the result of the active grille-shutter, working in partnership with several choices for upfront lighting: Halogen, full LED, and full LED with Adaptive Front-lighting System (AFS). This AFS feature moves with the wheels around turns to illuminate around corners in an improved way. Look as well into the Apple CarPlay & Android Auto capability, all-new SiriusXM with 360L, fourth-generation Uconnect, and a tan navigation system to elect with incredible 3D map renditioning. The Ram 1500 has currently twelve exterior hues, and these ones are new in 2019: Billet Silver, Diamond Black Crystal, Patriot Blue, and Tri-coat White. Functional tow hooks with wide bumper areas on the Rebel model make those functions not too worrisome, while skid plates on the transfer case, steering system, oil pan, and gas tank keep thing positively stress-free even when rock-traversing with this truck. look for the back-bumper decals to know which pickup is equipped with the 4x4 Off-road Package (though the Rebel has it standard of course). What features are of note in this vehicle? Consider for a moment that you can potentially put inside the RAM 1500 a 900w audio system and/or a 43.4" panoramic sunroof. This truck also has an industry-first: a thermal axle that warms up the gear oil of 4x2 trucks before they get moving! Inside, there is a flat-load floor with 2 integrated RamBins, a shelf above the glove compartment, a new toggle switch bank, and a freshened-up center console with 12 storage possibilities (including one for a laptop). Frequency Response Damping (FRD) technology manages the shocks on all 4 corners, and know as well that the liftgate is now aluminum and has a lift assist feature operated by a key fob. A 12" touchscreen display (otherwise 8.4") allows more room for applications, even letting them display in a split-screen fashion, and the second-row includes slide-reclining seats. An excellent available audio election is the Harman Kardon option with 19-speakers including a 10" subwoofer and is combined with active noise cancellation. The Ram 1500 Rebel is now represented in the Quad Cab style and has new 18" wheels (20" optional), and it uses an electronic-locking rear differential with 33" Goodyear Wrangler DuraTrac tires as standard. The 2019 Rebel is also standard with a progressive 5-link coil spring suspension and a 1-inch factory lift. 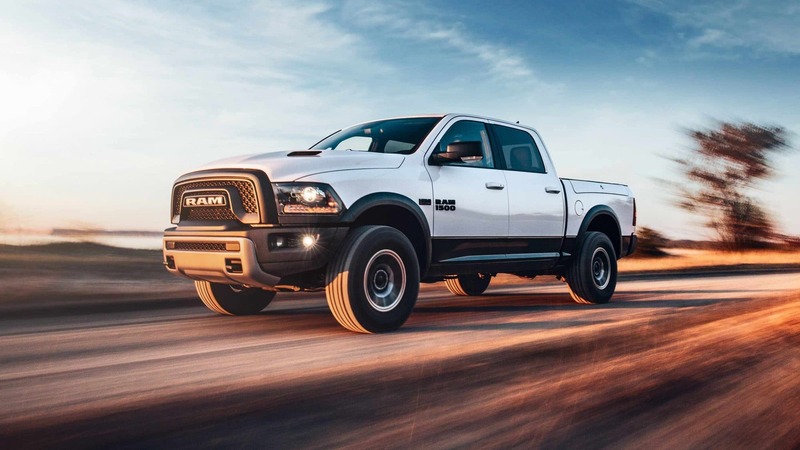 Rocking over 100 standard & available safety/security features in the 2019 Ram 1500 is certainly a vehicle designed to be safe! A sampling of the accommodations in this category would be Rear Cross Path (RCP) detection, the Surround View Camera, LaneSense Lane Departure Warning-Plus, ParkSense Parallel/Perpendicular Park Assist, an electric parking brake, 9-1-1 Call/Assist Call, and an Adaptive Front-lighting System. It also utilizes an energy-absorbing front frame rail structure, tire blockers, as well as an advanced multi-stage front driver airbag. The list keeps going with Advance Brake Assist, Adaptive Cruise Control (ACC) with Stop, Go & Hold, and a display alert if the tailgate is loose or open ( a handy feature for any contractor who doesn't want to spill tools and materials all over the highway). Step into the future, today, with this amazing truck-- here with us at Zeigler Chrysler Dodge Jeep Ram Of Downers Grove!